To people in the Lower 48, Alaska is a faraway place that almost seems to be a foreign country when it comes to producing football talent. And for many aspiring players in the Last Frontier, playing for a major college seems an unreachable dream. UNLV senior wide receiver Casey Flair makes sure his fellow Alaskans know a country full of opportunity is out there. The Anchorage native returns to Alaska every summer — with teammate Tate Knutson and Colorado State’s Cory Macon — to run a camp for kids 6 to 14 and another for high school players. “It’s one of those things to give high school kids back home a chance to say, ‘You know what, these guys made it out there on scholarship. They’re playing on TV. They’re playing nationally,’ ” Flair said. “There’s not that thought process, ‘Oh, there’s no hope. I’m going to go to an NAIA school.’ There’s the chance if they want to play Division I football, they have an opportunity. UNLV wide receivers coach Kris Cinkovich assisted in the camps last year, and Rebels head coach Mike Sanford spent nearly four days there this summer. “More than half those guys will never meet a Division I coach,” Flair said. • GOOD START — Sanford said he was pleased with the first day of practice in full pads Friday morning at Rebel Park. “I really liked our work ethic,” he said. “I feel like we’re becoming the kind of practice team that we need to be. • BACK TO ELY — The Rebels leave today for their third consecutive year of training camp in Ely. Because the program must find housing for players this time of year anyway, the lower hotel rates in Ely make the cost of moving camp roughly the same as if the team stayed in town. • WALK-ON — Sophomore tight end Kyle Watkins (6 feet 2 inches, 225 pounds) has joined the team as a walk-on after transferring from Scottsdale (Ariz.) Community College. • INJURY UPDATE — Backup redshirt freshman tight end Austin Harrington’s injury turned out to be more severe than originally thought. He has a broken right leg and is expected to be out four to five weeks. 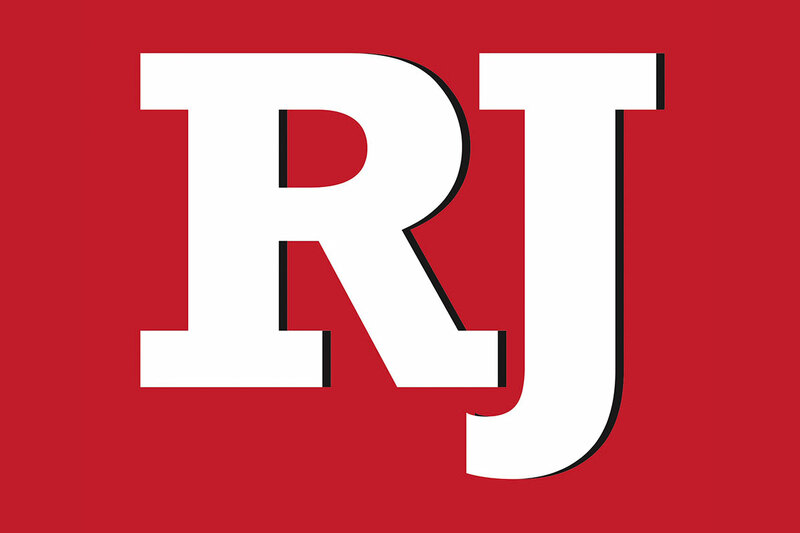 Contact reporter Mark Anderson at manderson@reviewjournal.com or 702-387-2914.